Put a ring on it! 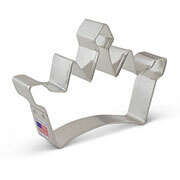 The 3 3/4" Diamond Ring Cookie Cutter is a pretty shape to use for a bridal shower or engagement party. Surprise the bride-to-be with a cookie bouquet, or even just the shape itself. Celebrate the upcoming marriage and toast the blushing bride! 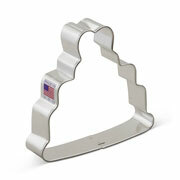 This shape could also be used around Thanksgiving as a Pilgrim head. 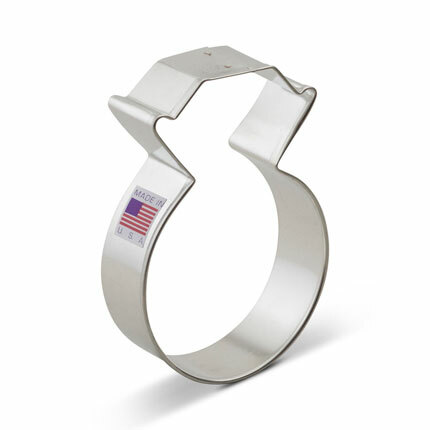 I have ordered several cutters from Ann Clark and I am very happy with their product! Love the cookie cutters. Great quality.